Oh how I love this wrap and headband from AR Backgrounds! So simple yet girly and of course, in my favorite, neutrals! 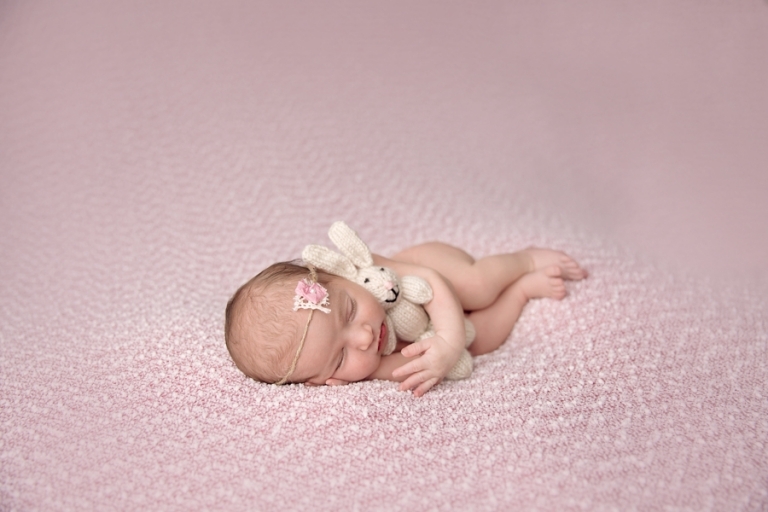 Both the pink and cream drops are from Roses and Ruffles and the most adorable bunny from Mary’s Knittin’. 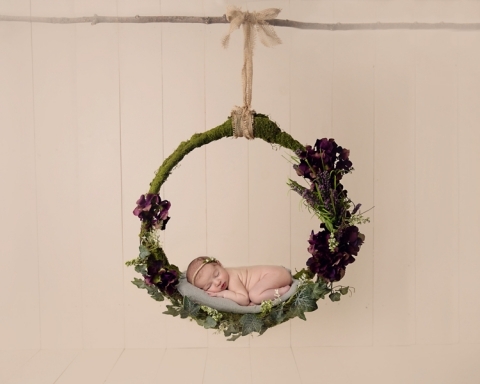 This wreath is on of the most requested props! Of course this is a composite (two images put together) and many thanks to my amazing hubby for holding the branch to make this one possible. 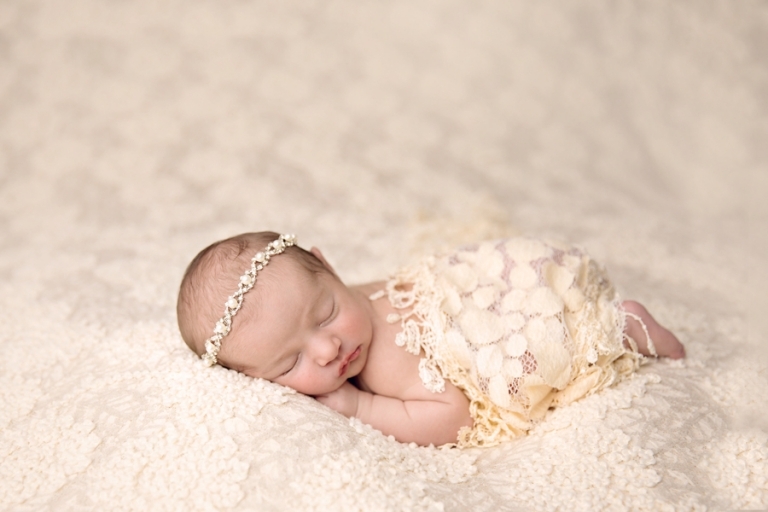 Isabella’s grandmother made this blanket for her~ I love when clients bring in such special items to incorporate in their sessions. Not only is it meaningful, but I love using them! This bed from Woodsy Wonders may be the second most requested prop and so versatile too! Thank you for stopping by! 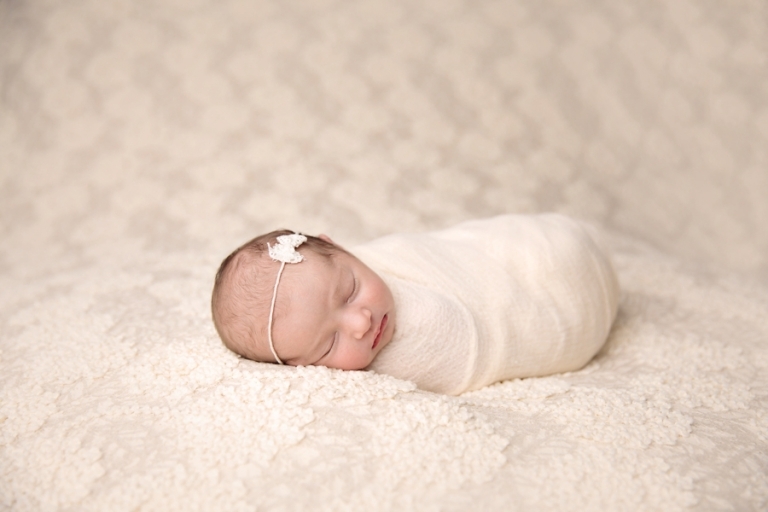 To learn more about newborn sessions, please visit our newborn information page. The pricing guide can be found here and to schedule your session, please contact me at mary@marychristinephotography.com.